SRKA - SHRM Racine/Kenosha Area Chapter - SRKA Breakfast Meeting - HR Game Changers – Measure, Manage and Market! SRKA Breakfast Meeting - HR Game Changers – Measure, Manage and Market! Choose this option if you are a member of the MRA HR Roundtable in Sturtevant. You will need a special code. HR Game Changers – Measure, Manage and Market! Join us for a fanstastic presentation featuring Lynell Meeth, MSHR, SHRM-SCP, SPHR of MRA! As the saying goes, what you measure you can manage and what you manage you can leverage. With the right data and an inherent understanding of the business, HR stands poised to unearth new insights and bring innovative solutions to the organization. Effectively aligning and marketing innovative solutions to the business effectively changes HR’s game, impacting the success of the HR role and the organization as a whole. 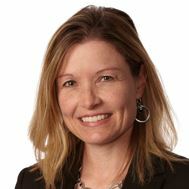 Lynell’s human resource experience spans over 15 years of consulting with managers, HR professionals and executives in areas such as talent development, performance management, engagement and retention, assessments, mergers/acquisitions, employee relations and investigations, succession planning, and diversity initiatives. She is an experienced trainer in management and professional development, harassment, interviewing, diversity, metrics, and HR compliance.